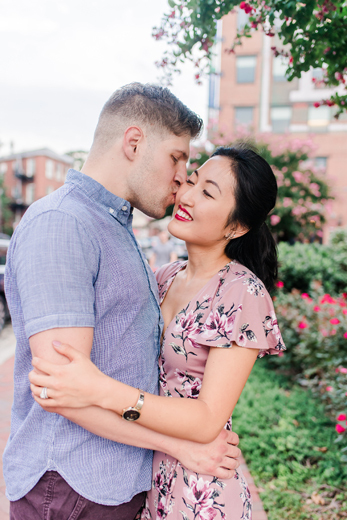 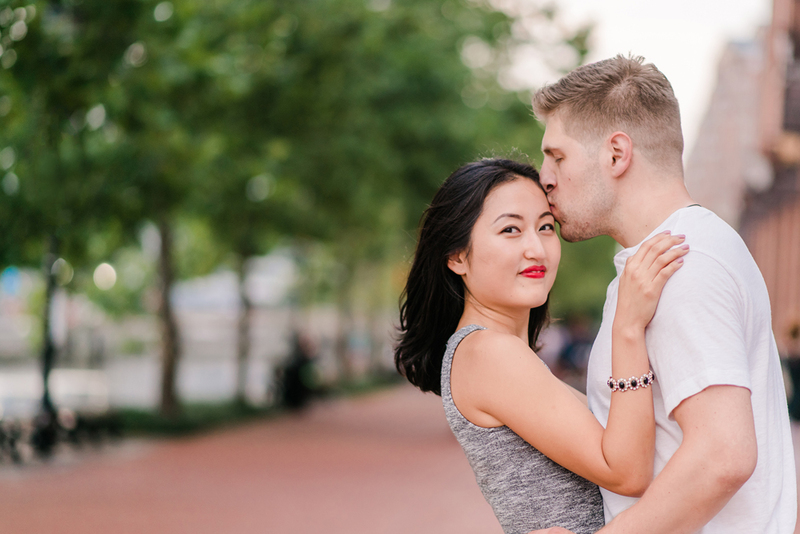 With MJ & Kurt living in VA, it's been a while since we've been able to get them back in front of my camera! 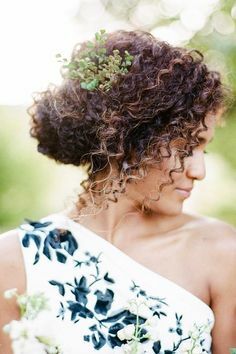 (Last time was their gorgeous engagement session around Bel Air!..almost FIVE years ago now?! 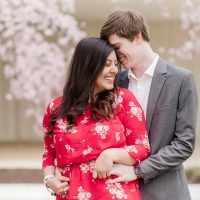 ahhh time flies!!). 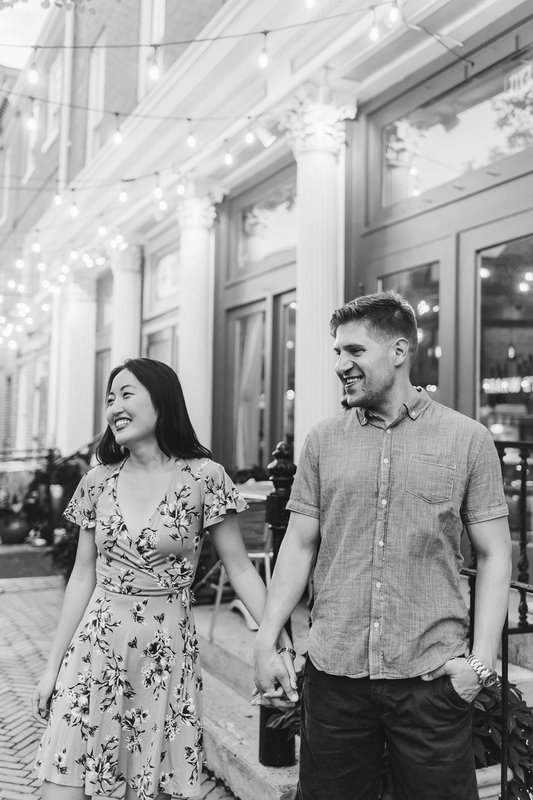 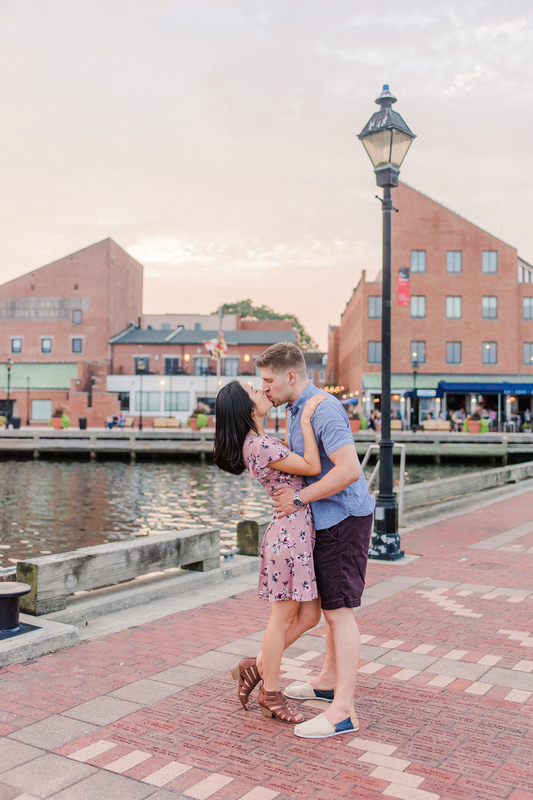 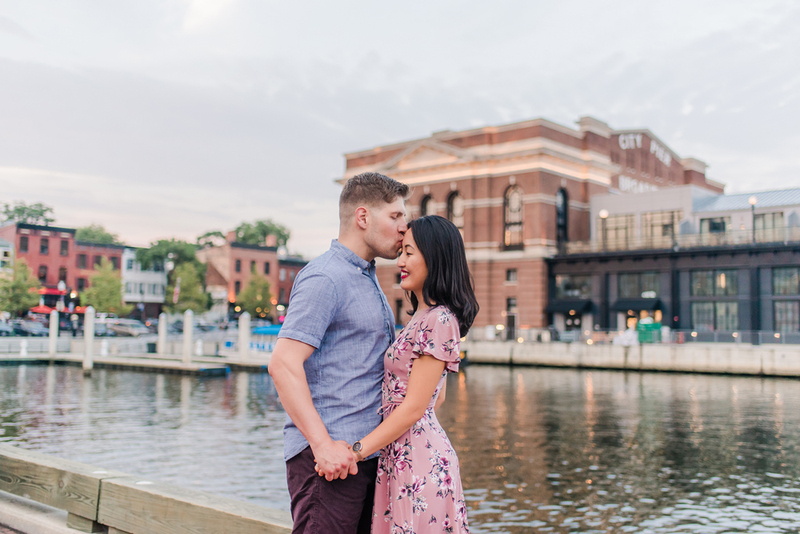 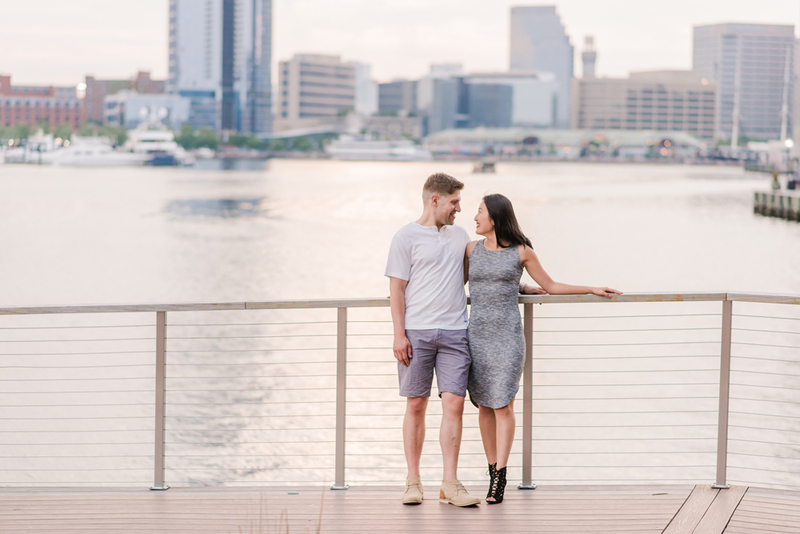 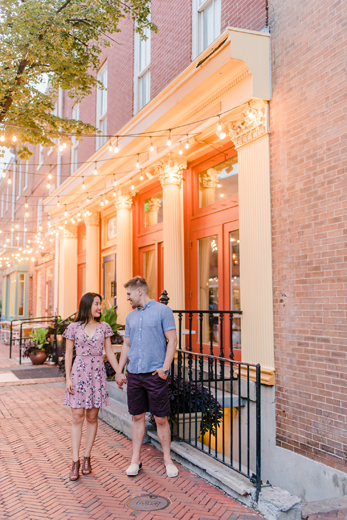 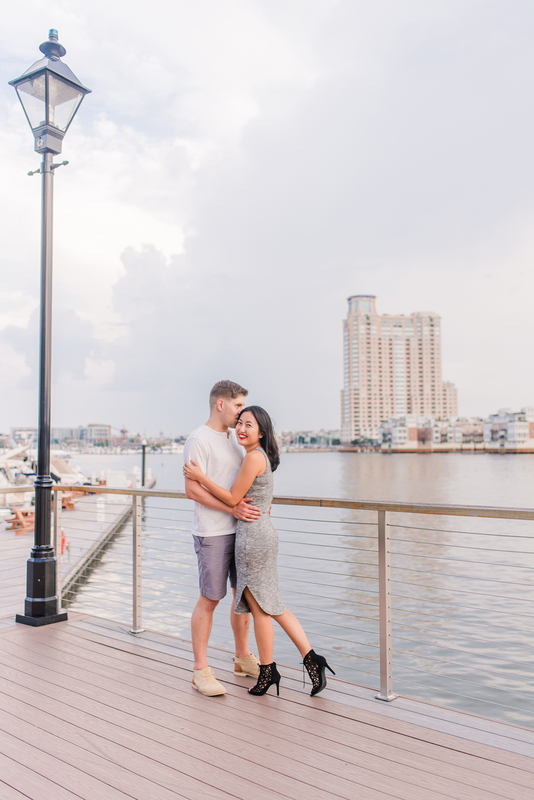 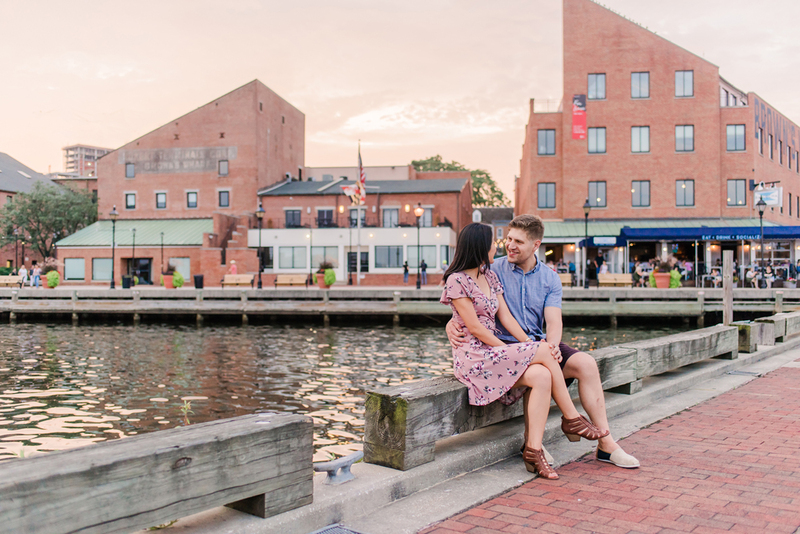 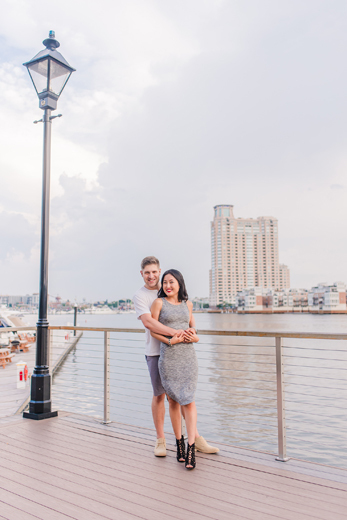 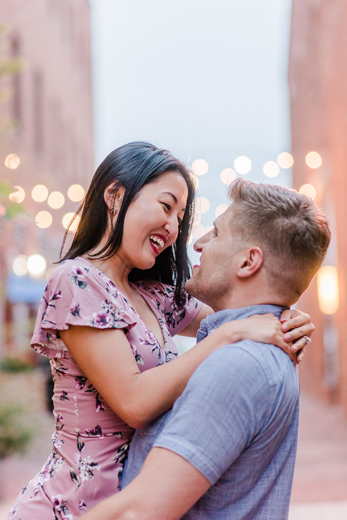 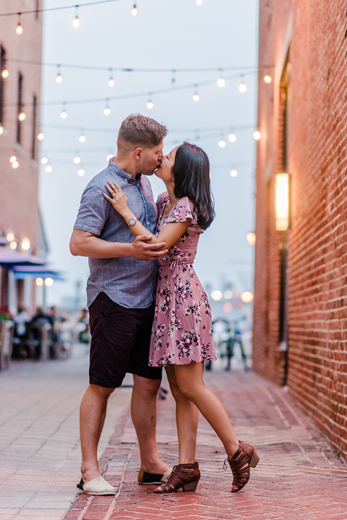 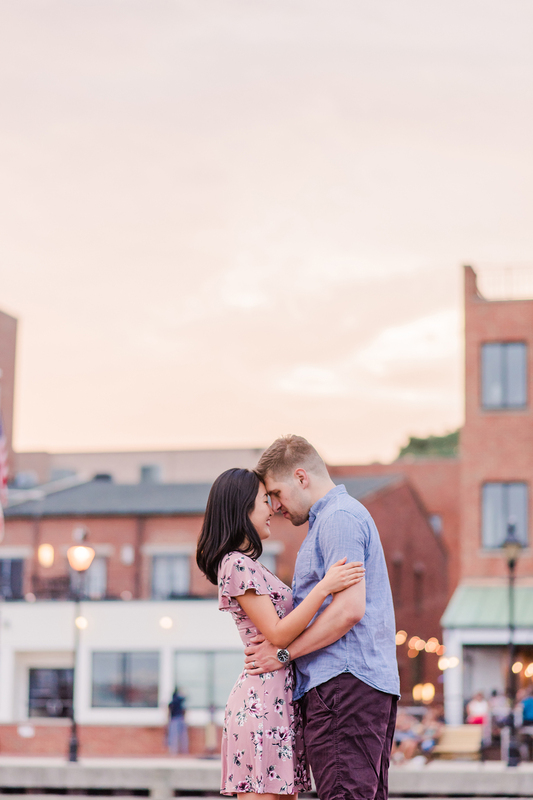 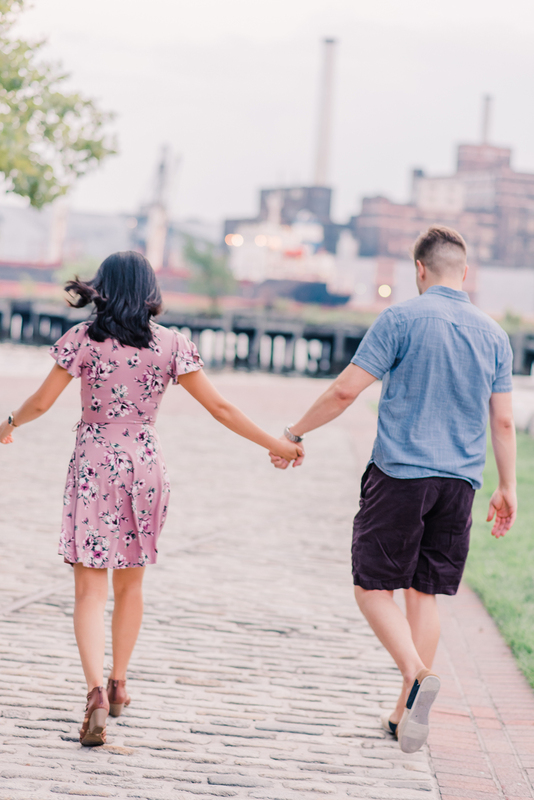 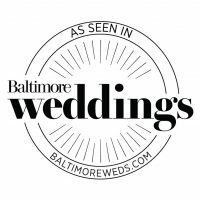 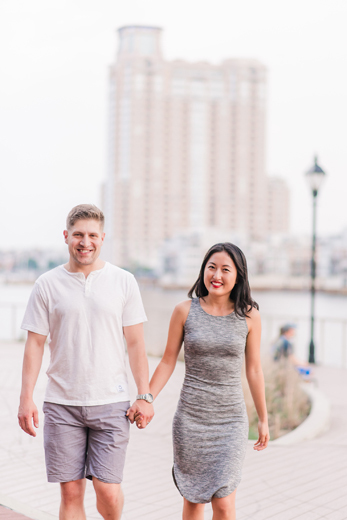 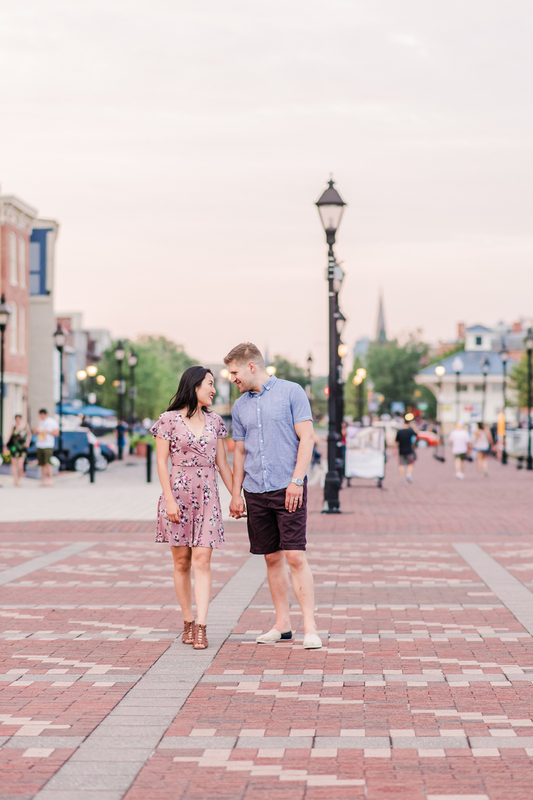 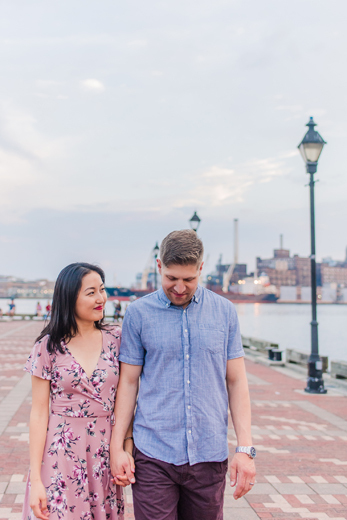 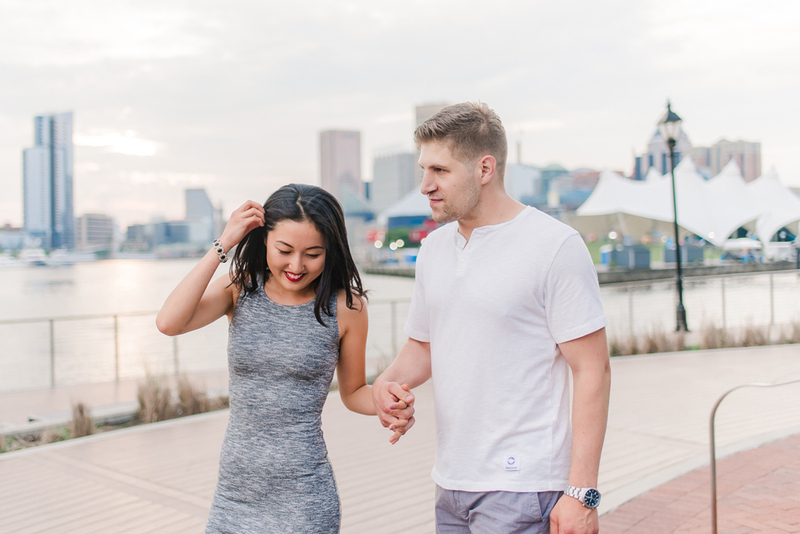 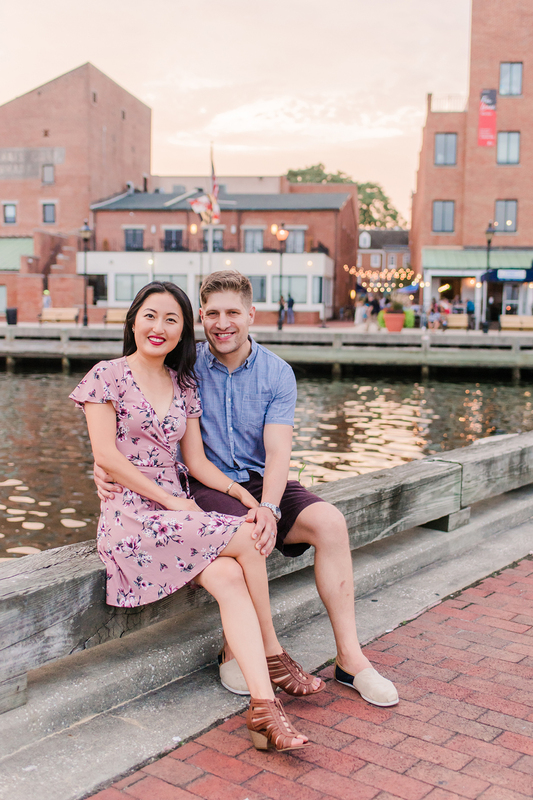 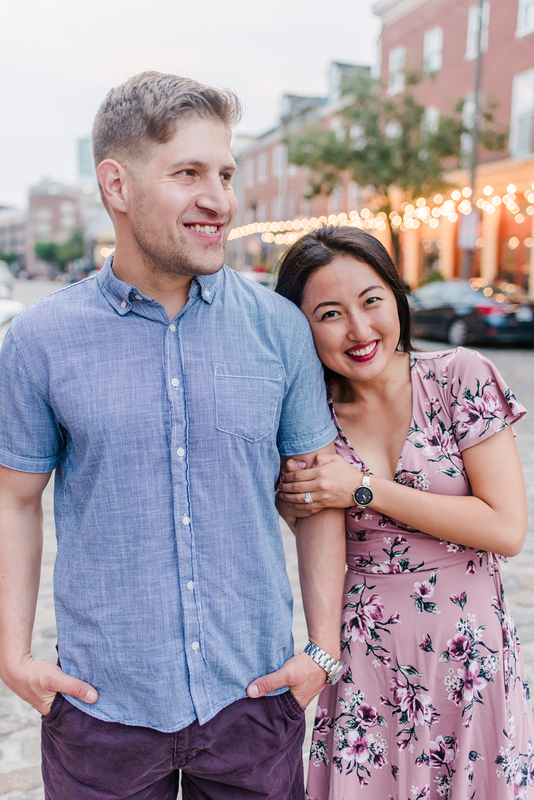 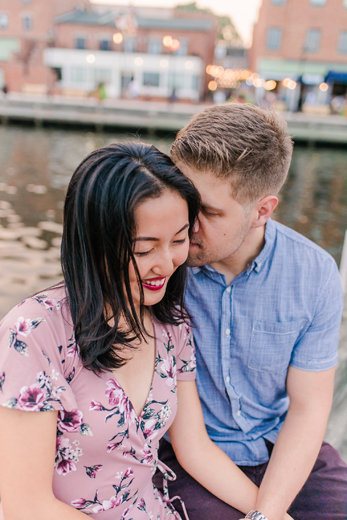 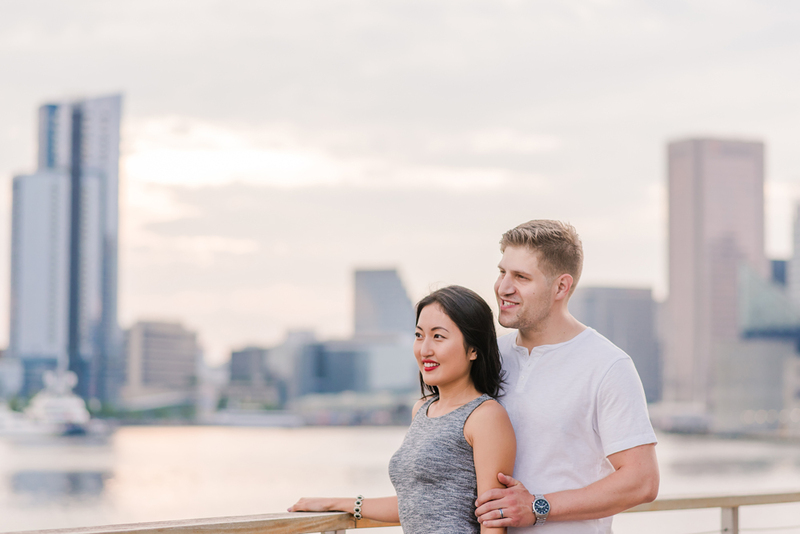 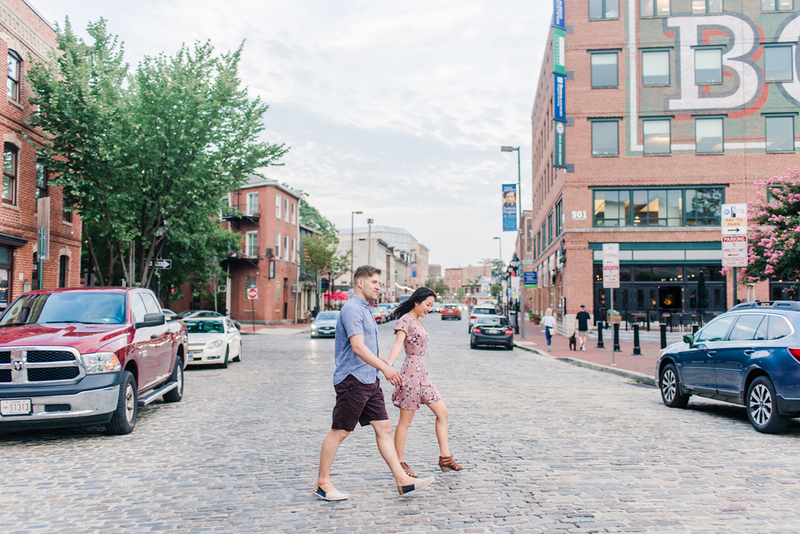 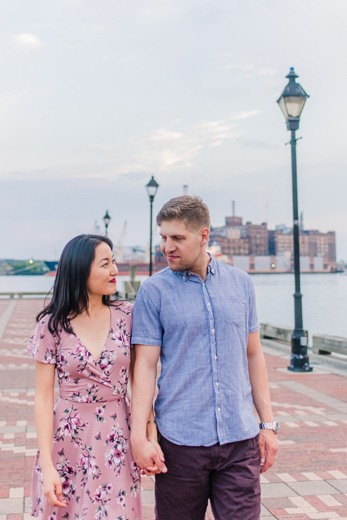 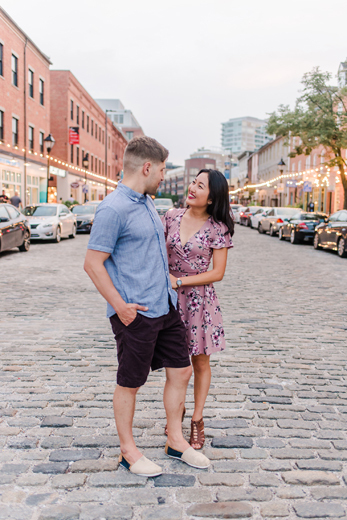 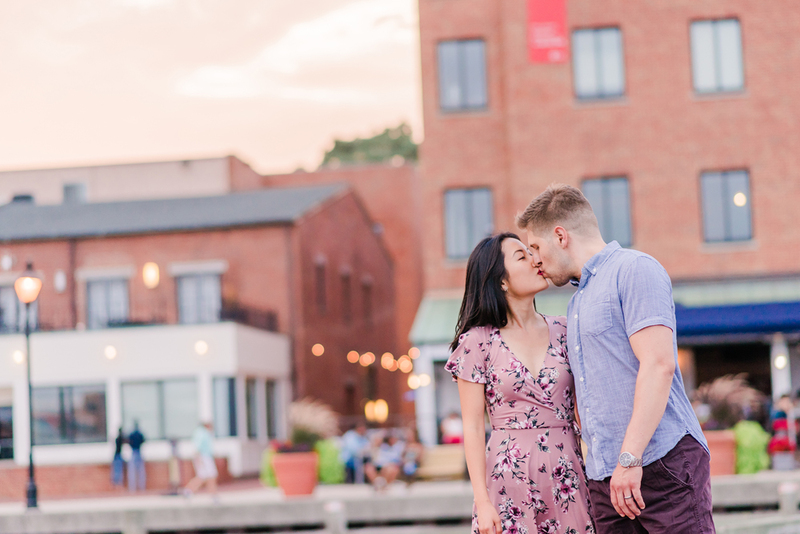 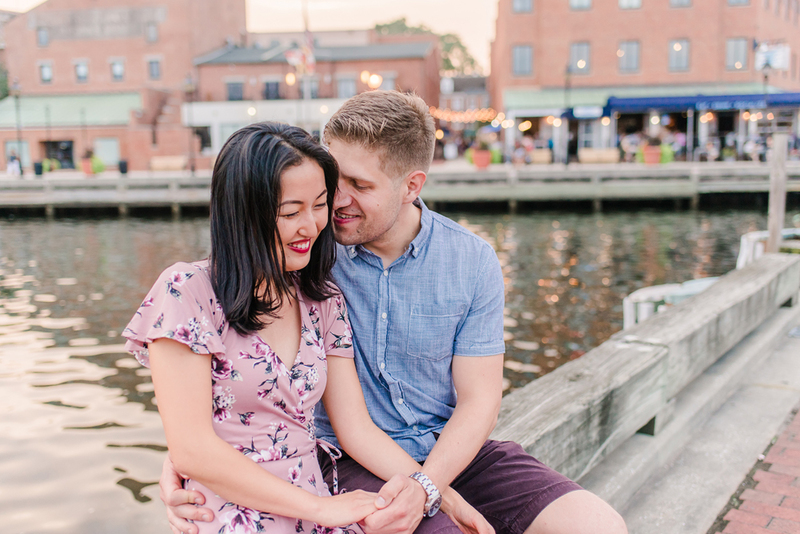 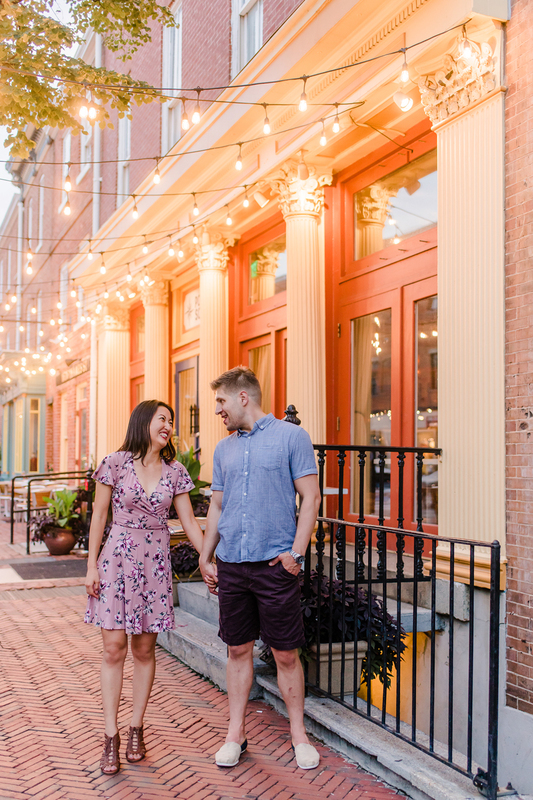 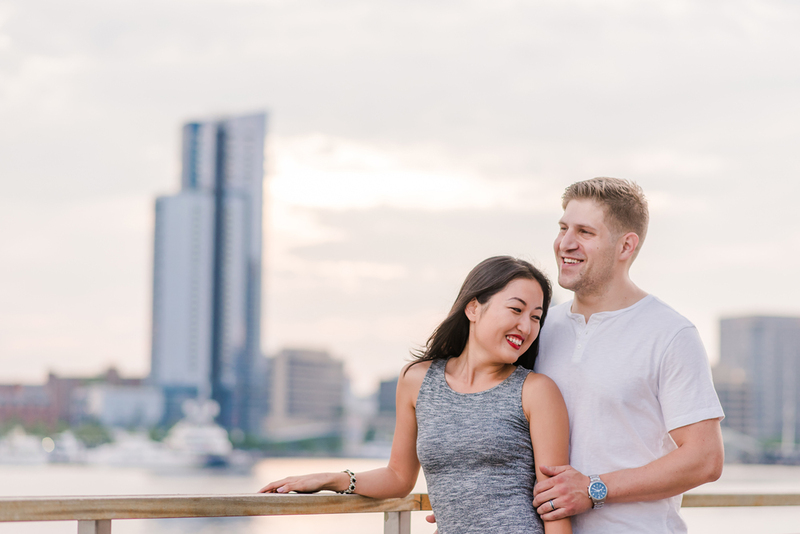 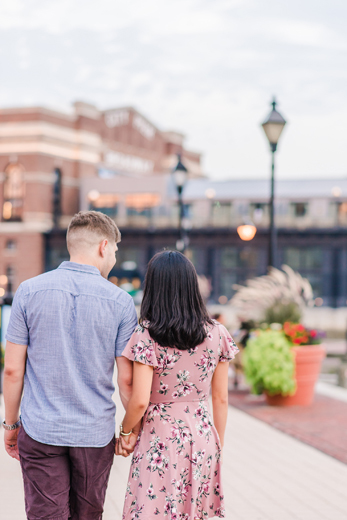 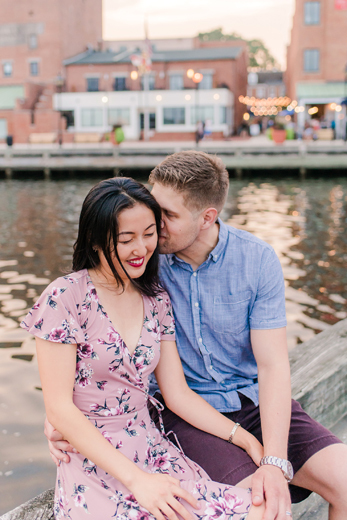 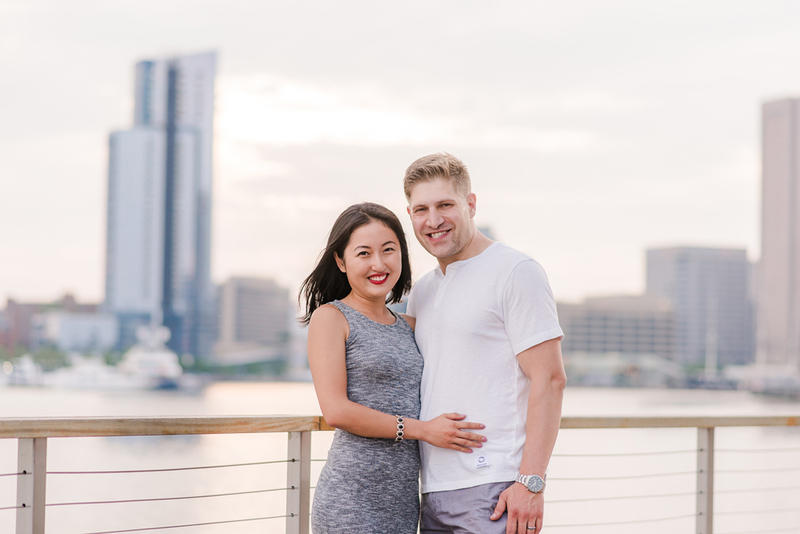 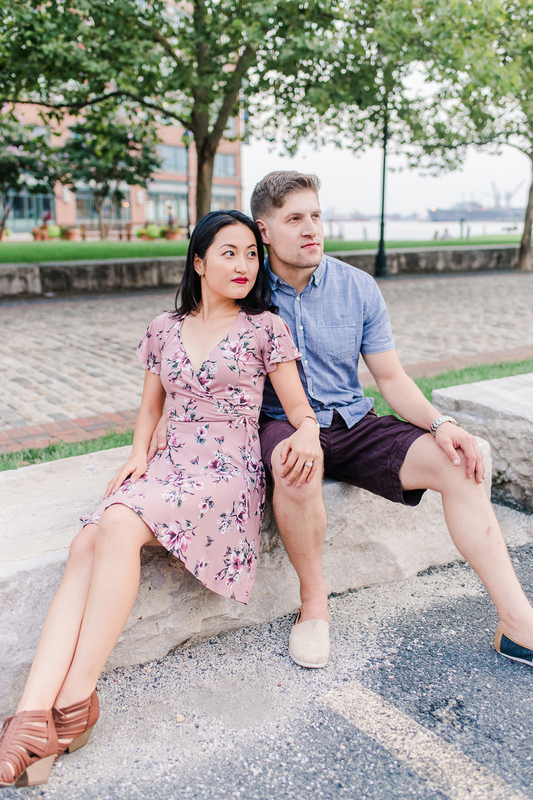 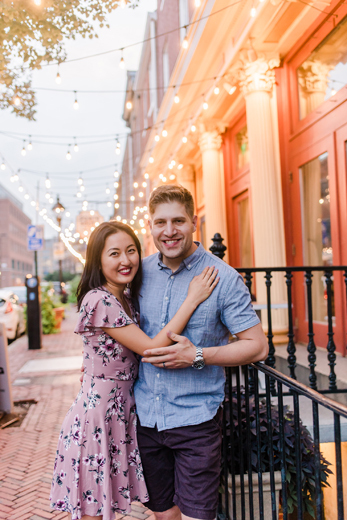 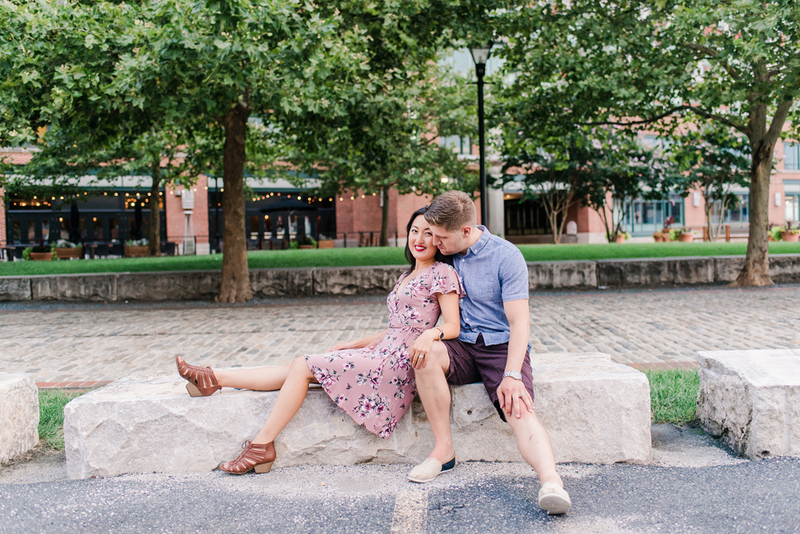 In August, we were able to time it for a fantastic city session around Harbor East and Fells Point in Baltimore while they were visiting family! 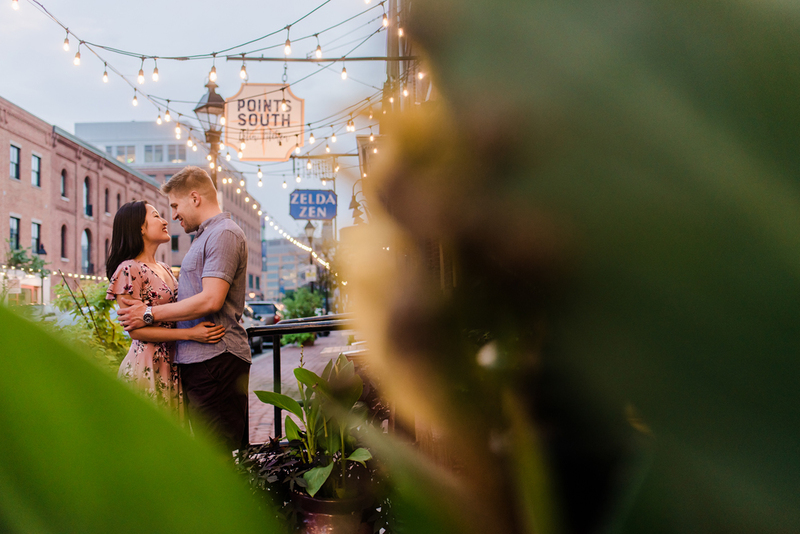 And oh my goodness, the city was showing off for them that night! 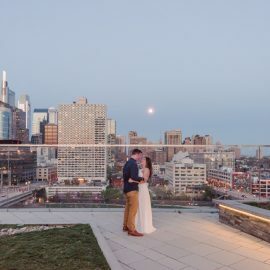 It made me proud with all my favorite things - gorgeous views, string lights, and a stunning sunset! 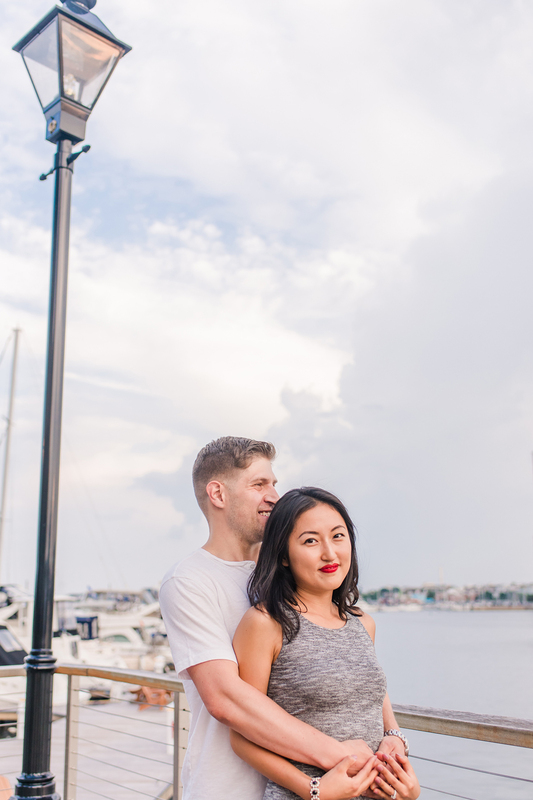 And the best part was having MJ & Kurt be the subjects in front of this great backdrop!! 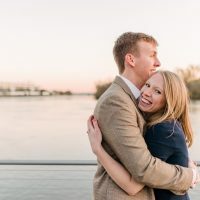 It was so fun to see them, and celebrate who they are as a couple, after being married for a few years! 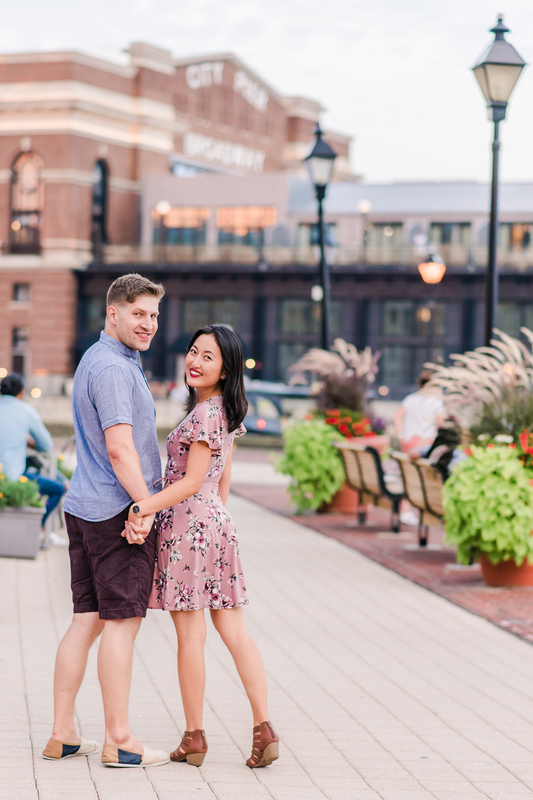 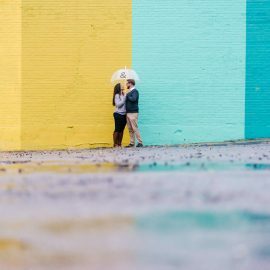 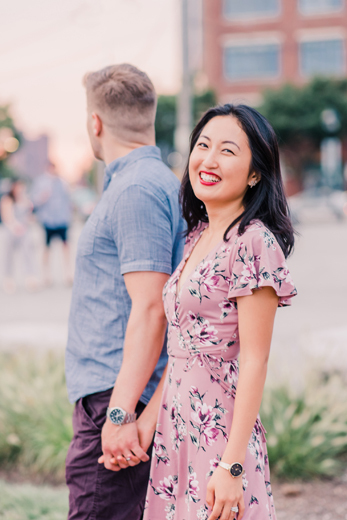 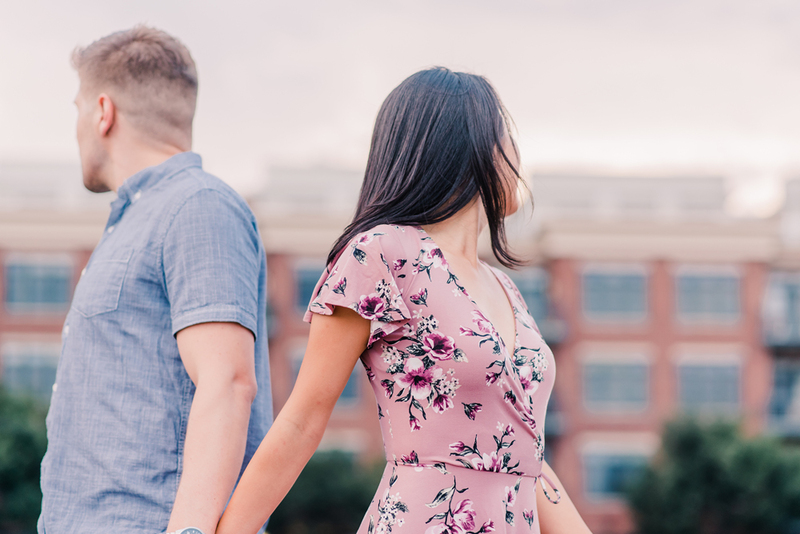 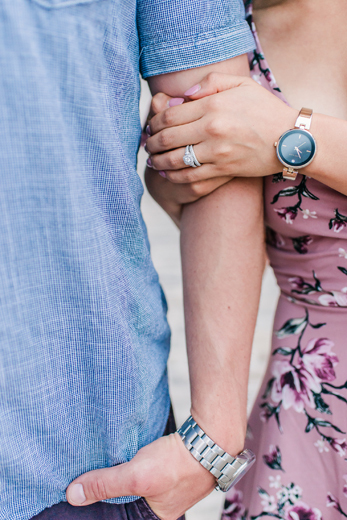 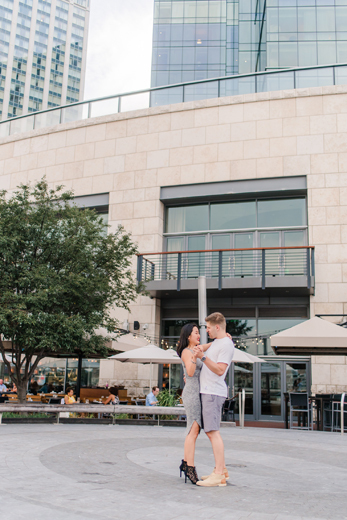 So glad we could capture their adorable relationship again, and so glad we could take these around these beautiful little spots in the city! 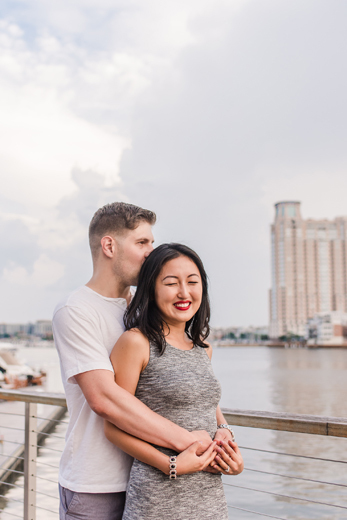 Can't wait until next time!! 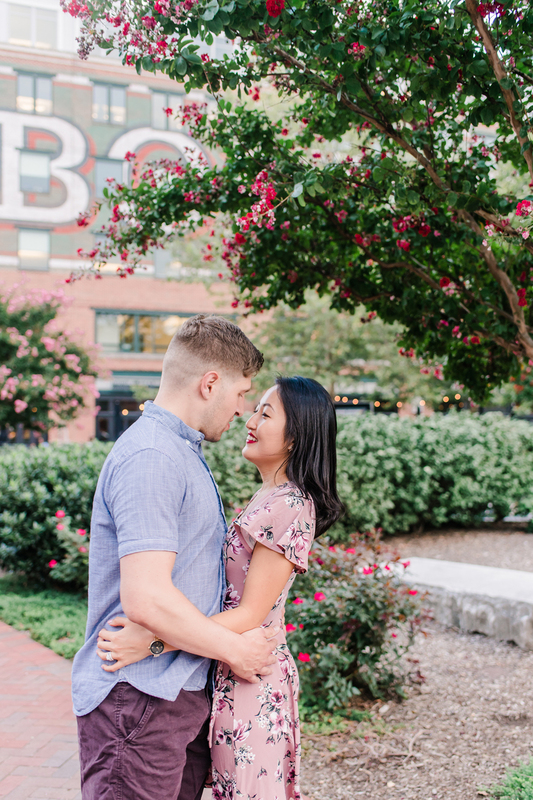 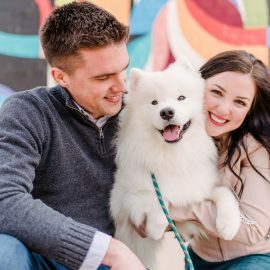 For real, hit the jackpot with these two! 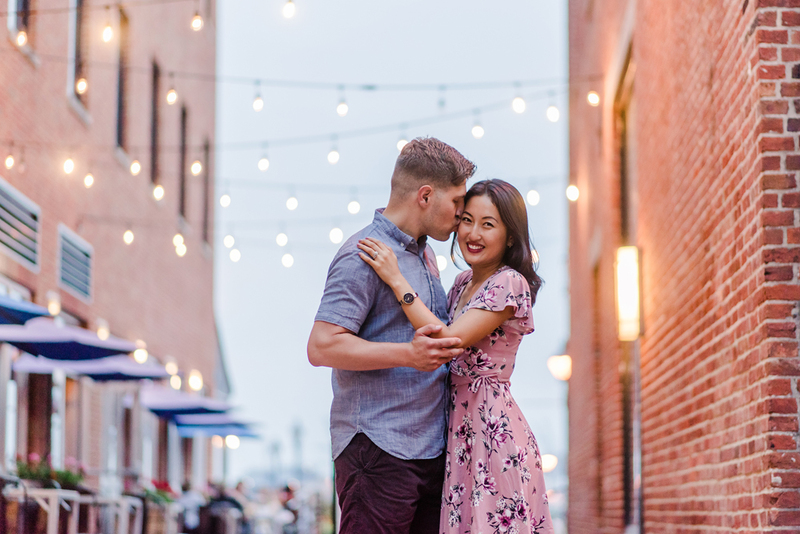 I will forever be a sucker for string lights and beautiful sunsets in the city!